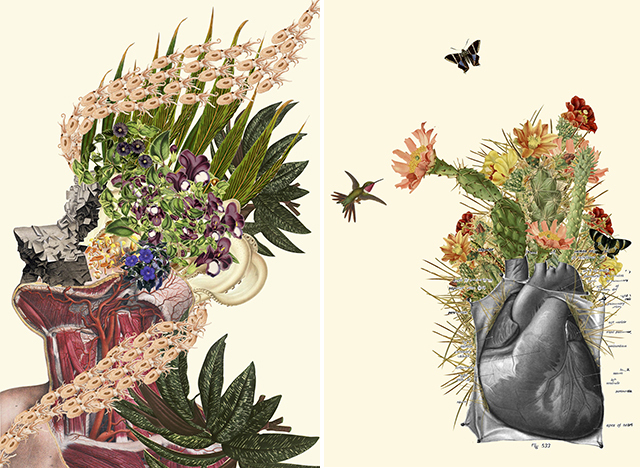 These beautiful collages, by artist Travis Bedel, merge anatomical imagery with illustrations from vintage etchings from science guides and textbooks. And I think they are just too cool. I agree. Just too cool. Reminds me that my body is ready for springtime too. Just like the little sprouts that are trying to persevere the cold and push through the soil, I’m itching to push outside the walls of my routine – get outside, move my body. So ready for spring.